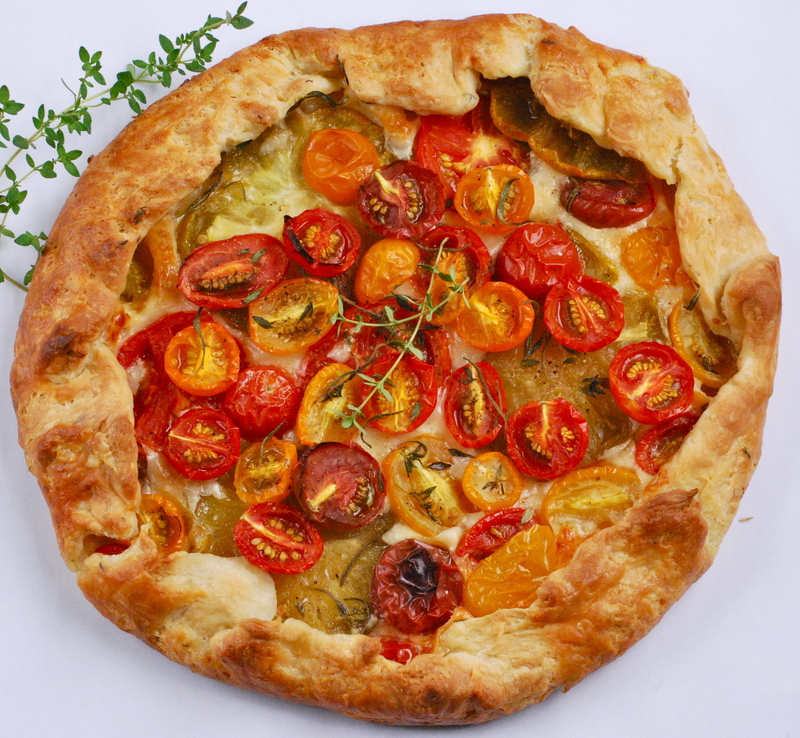 I love creating all sorts of dishes with tomatoes. 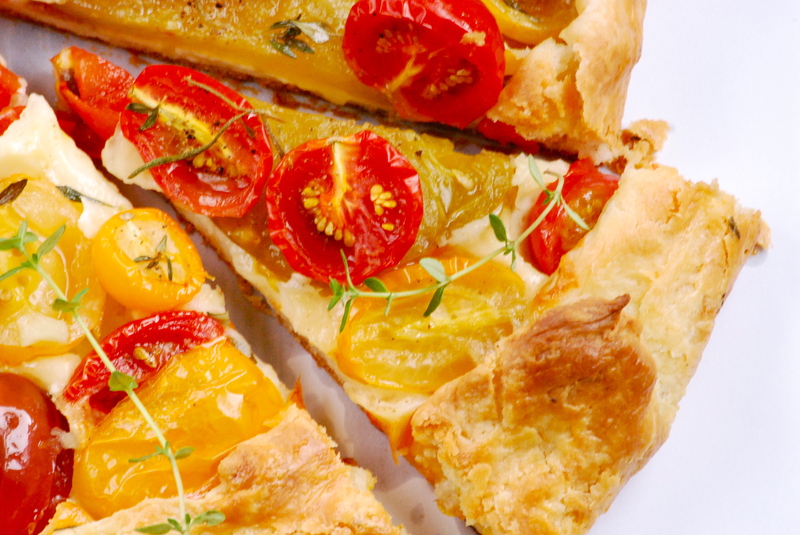 This heirloom tomato tart is among my favorite summer dishes. 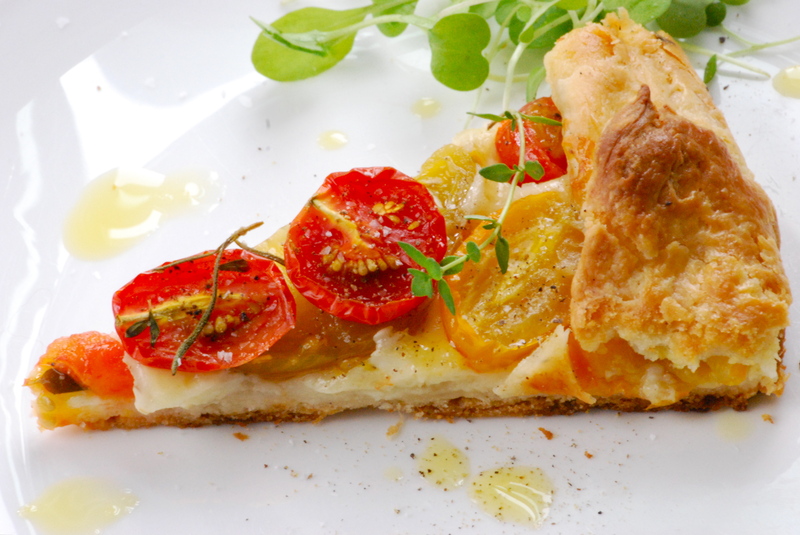 And this tomato Jam is a versitle spread for both sweet and savory things. 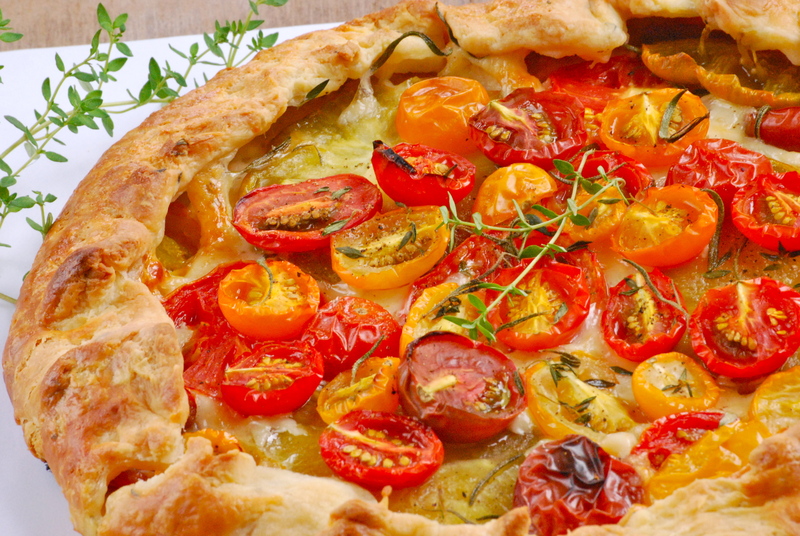 If you’ve ever wanted to make your own homemade ketchup–this recipe is a good one to try. 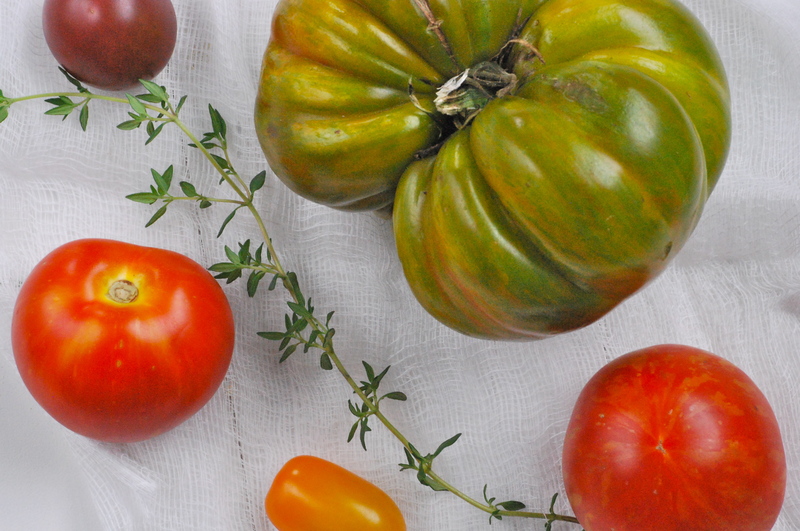 I also can salsa every year to share with family and friends, and can a huge supply of plain tomatoes that help get us through the winter. As much as I love to use them as an ingredient, nothing beats eating them in their natural state. They are so juicy and slightly tender. A sprinkle of salt brings out their amazing robust flavor. 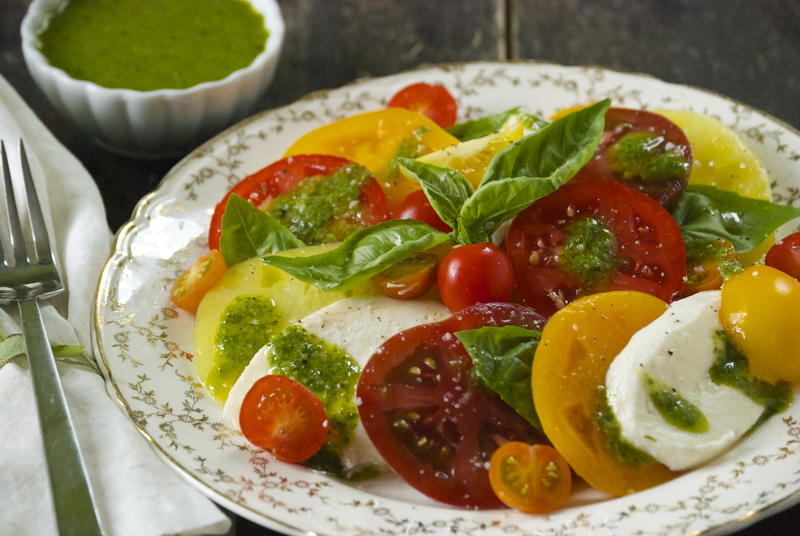 I love a good caprese salad. However, I’ve discovered that I’m not a huge fan of eating whole basil leaves. 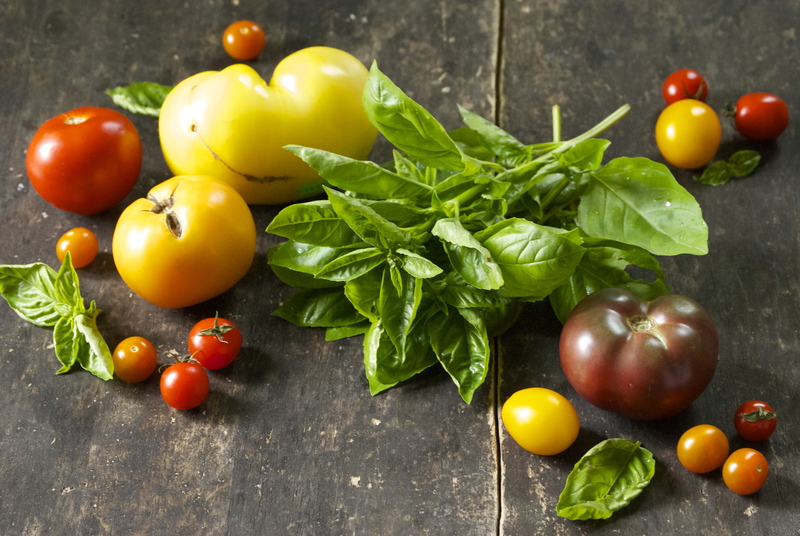 A few here and there are fine, but I much prefer the basil flavor to come through in a delicious vinaigrette that I can let my tomatoes and fresh mozzarella swim in. 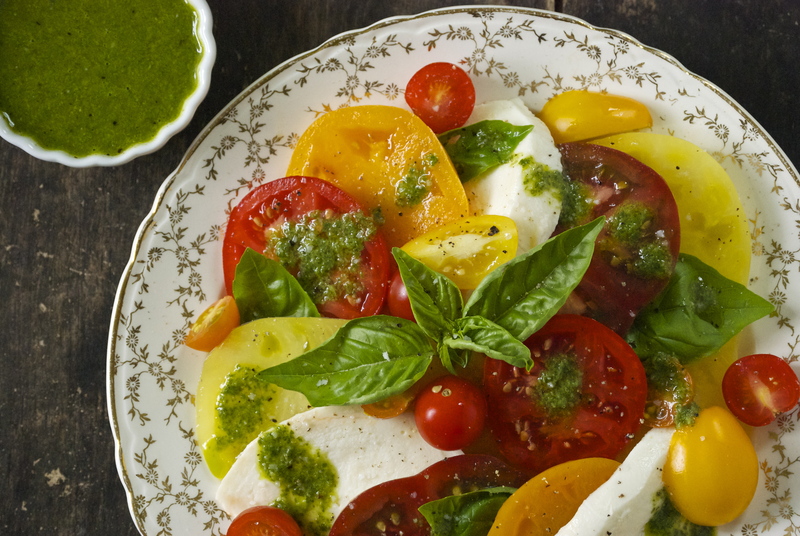 Every bite gets a little basil burst. It works for me, and I hope it works for you! Enjoy! 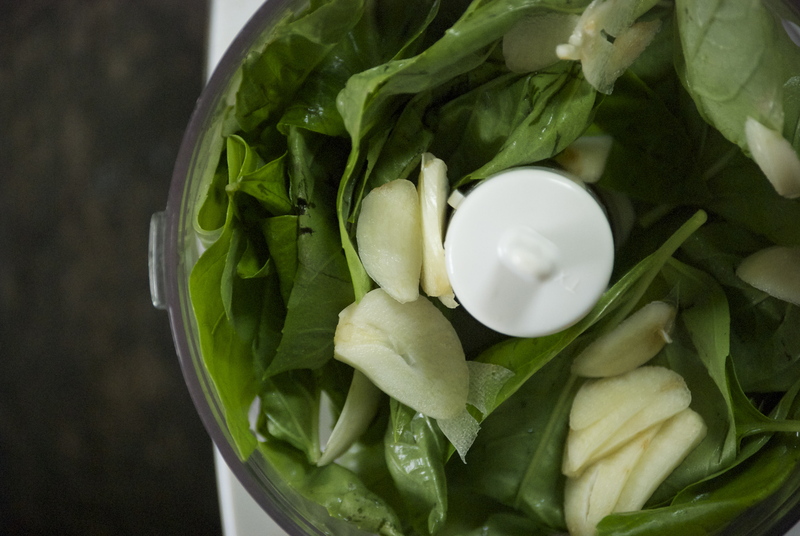 To make the Basil Vinaigrette: Place all of the ingredients except the olive oil in a mini food processor. Pulse it a few times to finely chop the basil. Scrape the sides, as needed. Slowly add the olive oil and continue running the machine until the vinaigrette is a relatively smooth consistency. Use immediately, or store covered in the refrigerator for a few days. Let it come to room temperature before using. 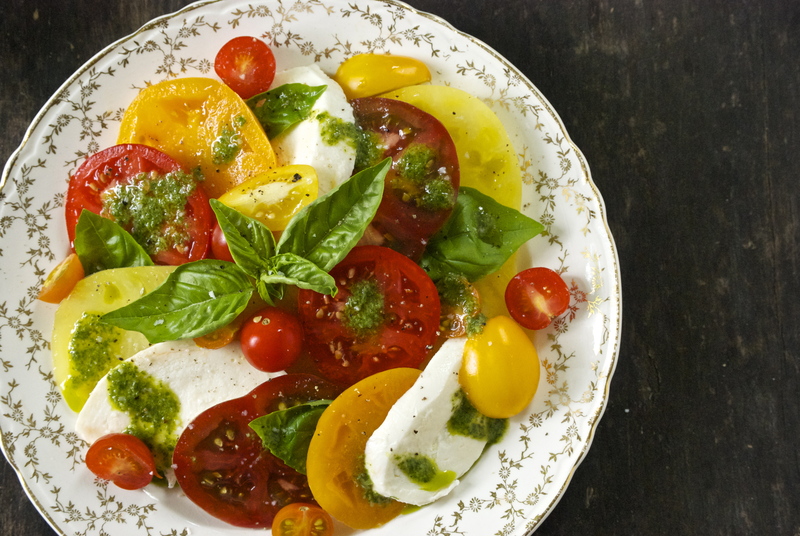 Arrange the heirloom tomatoes and fresh mozzarella on a platter, using as many as you would like (double the vinaigrette recipe, if making a larger portion). Pour the dressing over and sprinkle with sea salt and pepper. Eat immediately. Enjoy! Thanks for stopping by Relishing It! Have a lovely weekend.